As we settle into 2019, many of us are — hopefully — getting used to our new fitness regimes spurred on by the traditional January kick start. The annual focus on health and fitness is fascinating; it puts a spotlight on the accepted need for people to treat themselves better, but why is it so confined into just one portion of the early year? It’s tough to commit to a full fitness overhaul, and trying to focus on mental wellbeing can prove even harder. But with some persistence you can make great strides forwards, and keep that momentum going throughout the entire year and beyond. Everyone’s idea of ‘self improvement’ is different. For some, it’s quitting smoking, for others it’s getting out and doing regular exercise. Healthy eating, drinking less, making a fresh start or getting a clean break from past troubles, there are so many facets to self improvement that it’s near impossible to encapsulate. It’s something we strive for, both personally and professionally, so it’s important that we try our hardest to take those strides and make that progress. But how do we do that? Some people are great self-motivators, while others need support. A little push from an outside source works wonders for many, and fortunately, there’s an abundance of helping hands to assist anyone, no matter their goals. To look deeper into self improvement, you can easily separate the entire concept into two areas: physical and mental. We’ve entered an era of body positivity, where people are supported and empowered to figure out what works for them, rather than forcing the idea of a single ‘perfect shape’. Losing weight, dieting, running, weight lifting, yoga, regular visits to the gym. All of these are common routes people take to improve they view and feel about their body. Getting started isn’t easy, but once you do it’s immensely satisfying to be able to work towards your goal — whether it’s a lofty one or you’re starting with something smaller. If you’ve embarked on a body-focused self improvement journey, finding the right inspiration can be key towards maintaining your momentum and commitment well into the future. In such a connected society, there are more options than ever for someone who needs some extra reinforcement to keep them on track. Things like Alcohol Change’s Dry January app/campaign takes the month-long challenge further, helping users to extend the habit throughout the year. While not focused on physical improvement, budgeting apps also take the same approach, utilising the ubiquity of smartphones to help people stick to their goals and encourage them to think deeper about them. Having access to people with personal experience, too, is a powerful supportive tool. A fantastic example of this is Gail Porter. 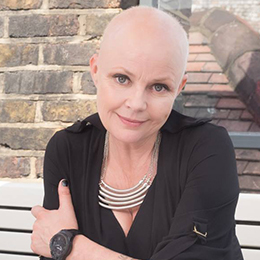 She has used her voice and history with alopecia to help people adapt to change and think openly about a range of personal issues which might present a barrier in someone’s life. Often, it’s how we think about change that delays us from achieving our goals. But by finding effective channels of support, there’s nothing stopping us. Mental health has come into the foreground much more in recent years — a fantastic trend that must continue. Our mental wellbeing is something that is sadly easy to neglect, and something that can be affected by things beyond our own awareness. Knowing where to start — or exactly what falls under the mental wellbeing umbrella — is difficult to grasp, but finding a programme, activity or support network which engages you is worth any trouble. Exercise and physical activity is often linked with a healthier mindset, especially activities like running where you can blend a meditative approach with a physical one. In Dame Kelly Holmes’ recent book — Running Life: Mindset, fitness & nutrition for positive wellbeing — the relationship between physical and mental wellbeing is explored. Again, the wealth of personal experience throughout is something that can truly engage and help people to relate, demonstrating how a person’s mindset can be affected — and can affect — their physical wellbeing at the same time. Simply talking about mental health can help someone make immense strides forwards. People still tend to think there’s a taboo around discussing or opening up about mental health or personal struggles. But by doing so, and starting that conversation, we can learn and grow, stepping away from the outdated view of keeping things bottled up, and instead becoming more inclusive. 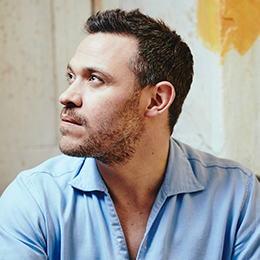 In this World Mental Health Day video Will Young discusses this idea, and how a person can begin their journey to better mental health — and help other start their journey, as well. Recently, companies have started to integrate mental health awareness and support into their working culture. From mediation rooms to offering employees direct access to mental health professionals — or by bringing in wellbeing speakers to breach the topic of mental health in person — you can find mental health support in all facets of life. Once you begin your journey, you can take things at your own pace, but by integrating this into your life for the long term, the results will be infinitely rewarding. At Kruger Cowne, we have a number of exceptionally inspiring health and wellbeing speakers who can help you and your employees engage with self improvement. 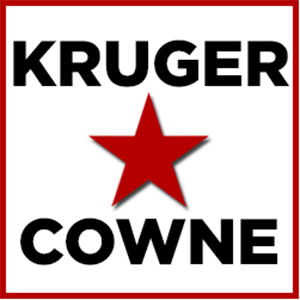 From in-office training sessions to motivational talks and more, the team at Kruger Cowne can support your business in encouraging a healthy, positive mindset and lifestyle throughout your company. To find out more, contact us today.